It is done. I finally started my bullet journal with a mixture of excitement and fear. 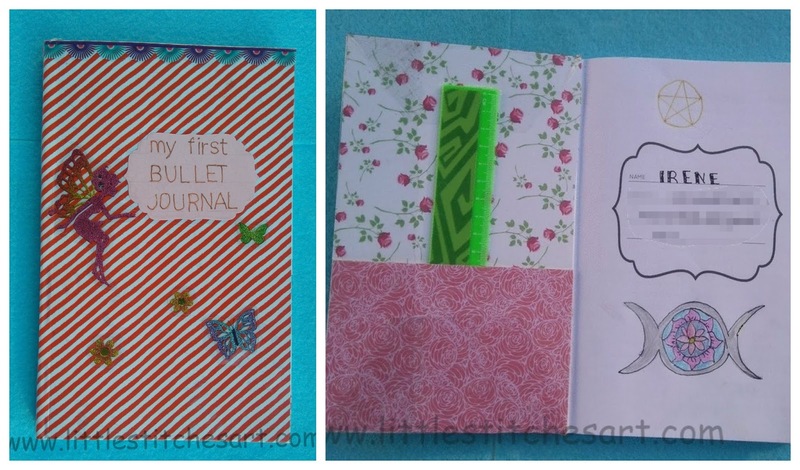 I have seen very beautiful bullet journals on Instagram and Pinterest and I know mine is not going to be like them. But my hope is that someday, after drawing and practising a lot, I can also do something nice. I don’t like the plain cover of my elephant notebook so I decided to change it. 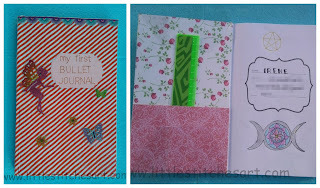 I chose an adhesive paper in white and red diagonal stripes and I covered my book with it. For the inside part I chose a flower paper from my card making supplies and decided to make a small pocket in case I want to carry stencils with me. I cover all with a transparent self-adhesive book cover to protect it. In the inside part, I included something which resonate with me. 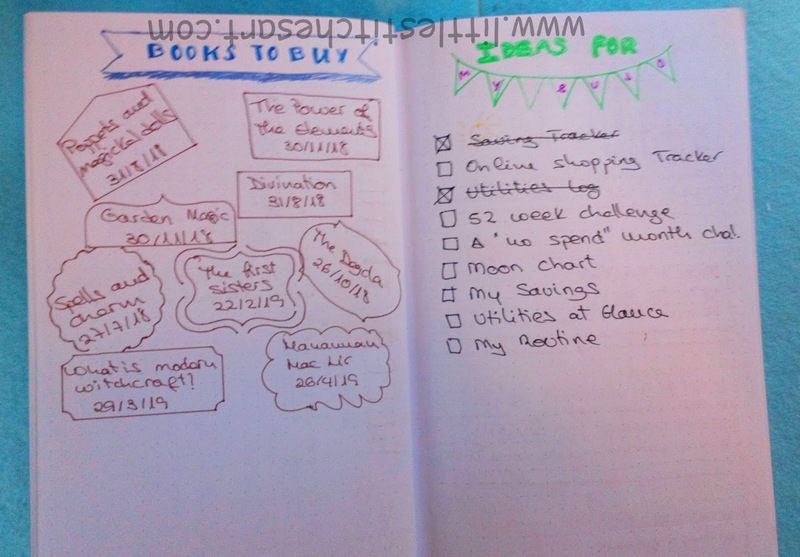 I started as it is advised for bullet journal, with an Index and Key pages. 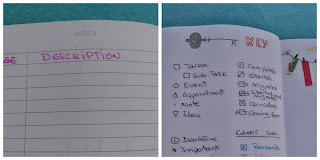 In my notebook there are two pages for Index, but I left two more pages just in case. After the Index and Key pages I prepared a Password Log layout. I have included after the password log all the collections which will be in use the whole year. First I made a future log for half a year, from July to December. 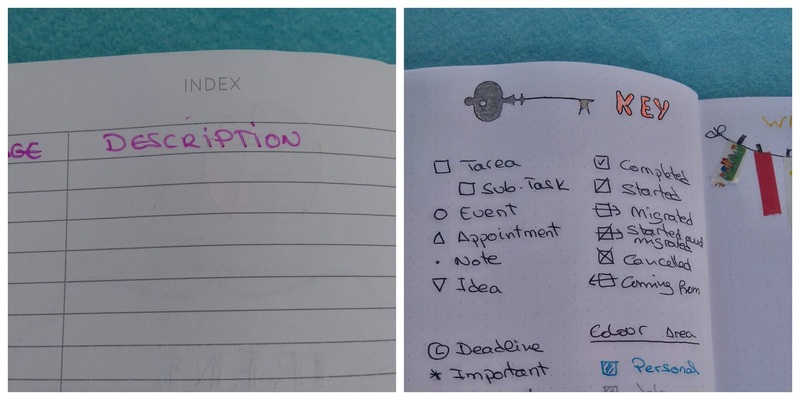 I prepared after that a spread to track if my monthly bills are paid and I dedicated a page to my lovely Luna (when she needs her pipette, anti-worm tablet, vet appointment ...). I dedicated couple of pages to my embroideries, one of them containing all the projects I am working in or I am going to work in and the other page is for tracking the advances on my WIP. 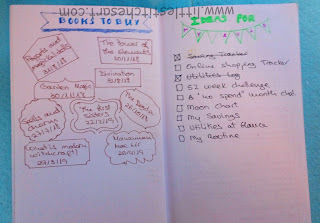 I made a page for the books I want to buy during this year once they come to the market and other to keep all the ideas I have to improve my journal. After that I will be including monthly layouts and collections. I hope I can improve in the future and have a journal that I can proudly show,.